A Japanese man has married his virtual reality hologram this month during a ceremony in Tokyo. 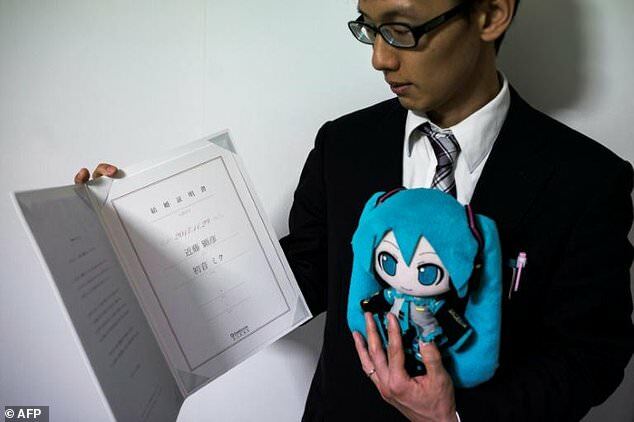 Akihiko Kondo, 35, spent ¥2 million (£13645.50) on a formal ceremony at a Tokyo hall to Hatsune Miku, an animated 16-year-old hologram with saucer eyes and lengthy aquamarine pigtails. Mr. Kondo’s mother, along with all of is relatives, refused an invitation to her only son’s wedding. 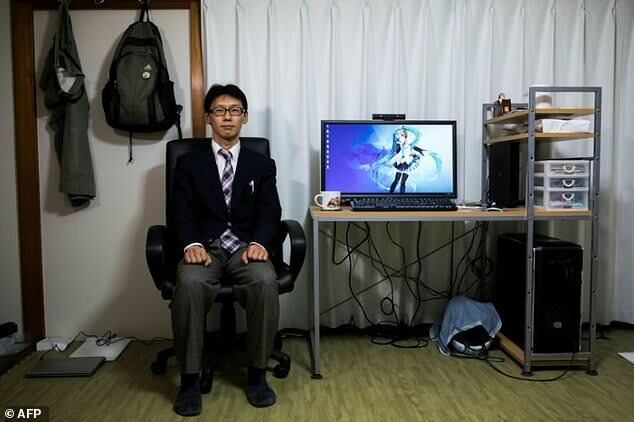 ‘I never cheated on her, I’ve always been in love with Miku-san,’ he said, using an honorific that is commonly employed in Japan, even by friends. ‘I’ve been thinking about her every day,’ he told AFP a week after the wedding. 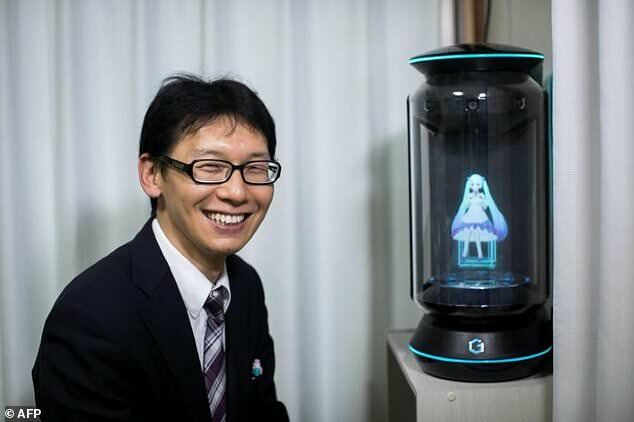 Since March, Mr. Kondo has been living with a moving, talking hologram of Miku that floats in a $2,800 desktop device. Bubbles floated in the air. A cloud floated across the moon. An empty bottle will float on water. You can float very easily in/on the Dead Sea because it’s so salty. We spent a lazy afternoon floating down the river. 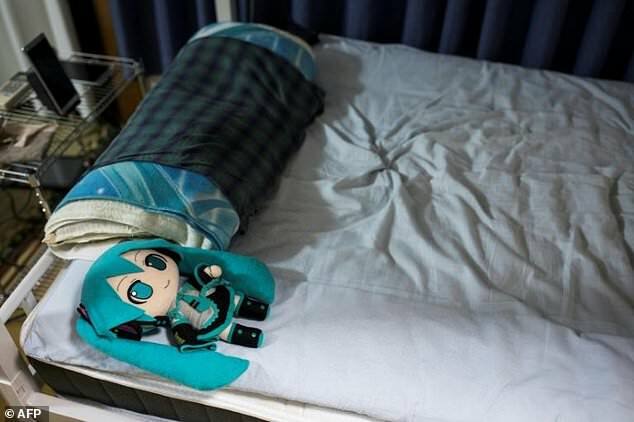 ‘I’m in love with the whole concept of Hatsune Miku but I got married to the Miku of my house,’ he said, looking at the blue image glowing in a capsule. He considers himself an ordinary married man – his holographic wife wakes him up each morning and sends him off to his job as an administrator at a school. Mr. Kondo’s marriage might not have any legal standing, but that doesn’t bother him. He even took his Miku doll to a jewelry shop to get the ring. And Gatebox, the company that produces the hologram device featuring Miku, has issued a ‘marriage certificate’, which certifies that a human and a virtual character have wed ‘beyond dimensions’. Mr. Kondo‘s not alone either: he says Gatebox has issued more than 3,700 certificates for ‘cross-dimension’ marriages and some people have sent him supportive messages. ‘There must be some people who can’t come forward and say they want to hold a wedding. I want to give them a supportive push,’ he says. The driver was certified (as) dead on arrival at the hospital. Beef exports must be certified safe and disease-free. 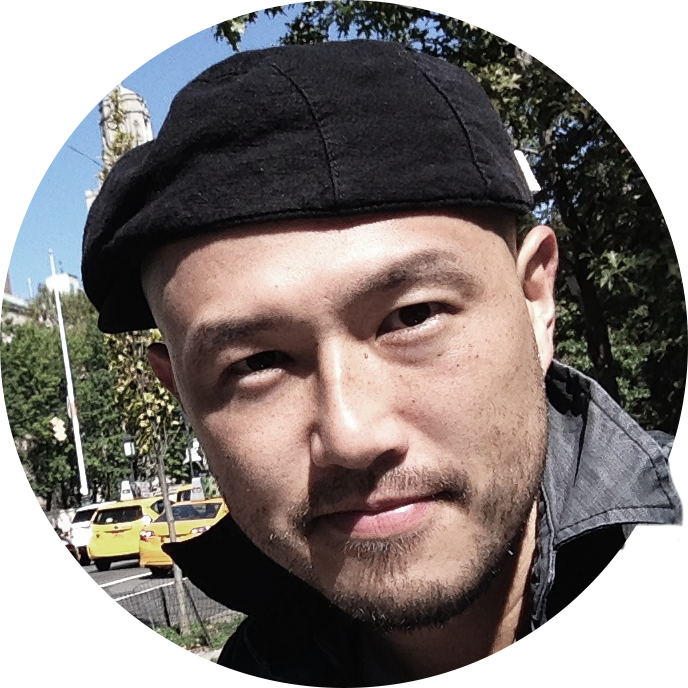 Mr. Kondo’s path to Miku came after difficult encounters with women as an anime-mad teenager. ‘Girls would say ‘Drop dead, creepy otaku!’,’ he recalled, using a Japanese term for geeks that can carry a negative connotation. 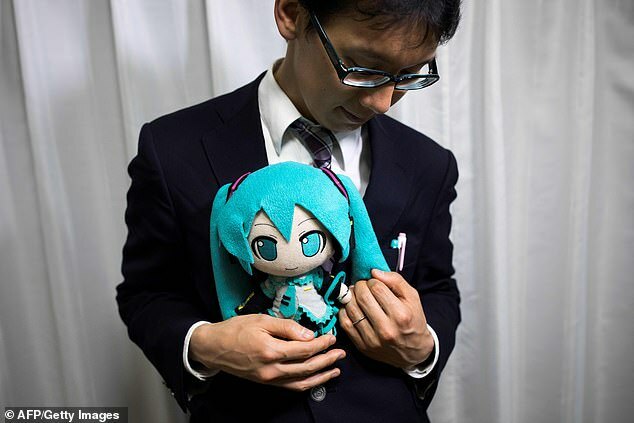 But eventually, Kondo realized he had been in love with Miku for more than a decade and decided to marry her. ‘Miku-san is the woman I love a lot and also the one who saved me,’ he said. And while Mr. Kondo says he is happy to be friends with a ‘3D woman’, he has no interest in romance with one, no matter how much his mother pushes for it. Even in a country obsessed with anime, Kondo’s wedding shocked many. But he wants to be recognised as a ‘sexual minority’ who can’t imagine dating a flesh-and-blood woman. The endless noise is more than flesh and blood can stand. They now realize that their hero is, after all, only flesh and blood. Skill and initiative are called for in this job. She bore him three sons. She had borne six children by the time she was 30. Most animals bear their young in the spring. The pear tree they planted has never borne fruit. She feels (duty)-bound to tell him everything. I felt honour bound to tell her the truth.